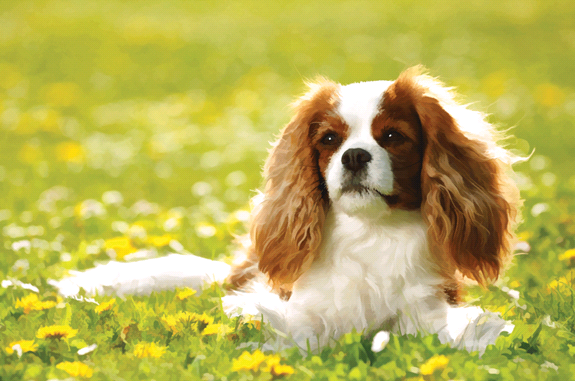 Also check out our expanded version about Cavalier King Charles Spaniels on our blog. Can a Cavalier King Charles Spaniel be left alone? Do Cavalier King Charles Spaniels bark a lot? What health problems do Cavalier King Charles Spaniels have? 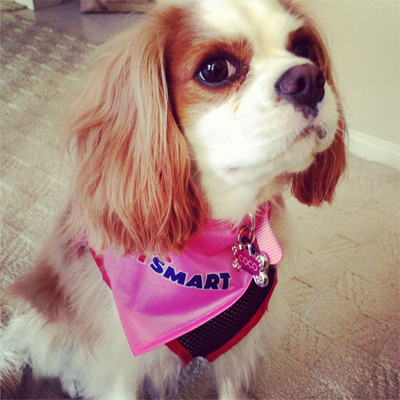 Are Cavalier King Charles Spaniel Smart? How Much is a Cavalier King Charles Spaniel Puppy? The King Charles Cavalier Spaniel is a small spaniel classed as a toy dog by The Kennel Club and the American Kennel Club. The first specimens of the Cavalier King Charles Spaniel emerged in England in the sixteenth century as “water” dogs (for living in swampy areas). Soon they became popular among nobility. Also due to its small size, they were easy to transport in carriages. They were chosen by the Ladies of the High Society to provide warmth during the winter. 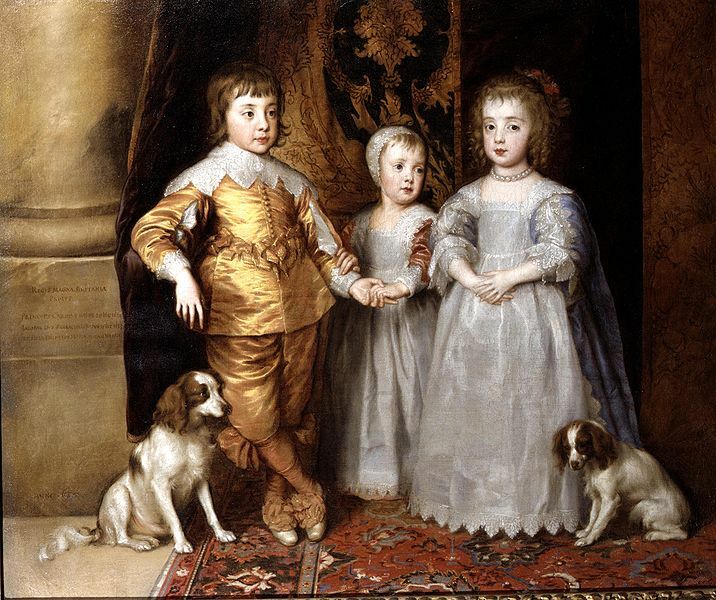 Toy spaniels were popular with European nobility from at least Renaissance times. King Charles I had a Cavalier as a pet while he lived in the Castle of Carisbrooke. But the monarch with whom the breed is most related is with the successor, King Charles II. In the Court it was said that he never separated from them, and that he even issued a decree so that anyone with a Spaniel of this type would be accepted in all public places. In the reign of William III and Maria II the water dog was replaced by the Pug. A cross between both animals resulted in the modern Cavalier King Charles as we know it today. In comparison with the “original”, its snout is shorter, the forehead more prominent, the eyes larger and a less “aristocratic” character. This new-style toy spaniel had a domed skull and a flatter face than those of Charles’s time. Before long, this type came to dominate, and the traditional toy spaniel of the Restoration was rendered nearly extinct—but not forgotten. In the 18th century John Churchill (Duke of Marlborough) had as a faithful friend a red and white Cavalier who helped him in the hunt and was called Blenheim. At that time many thought that the name of the race was chosen by this member of the nobility. 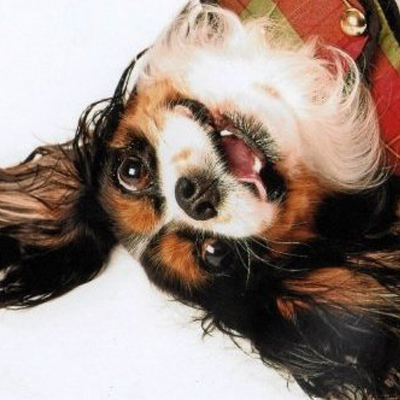 In the 20th century, an attempt was made to recreate the “original” Cavalier King Charles. It was achieved by crossing it with the Toy Spaniel Trawler (now extinct). He is currently the sixth most popular dog in the United Kingdom. King Charles Cavalier Spaniels are usually 12-13 inches at it’s tallest point on the body, weight proportionate to height, with an average weight around 13-18 pounds. They have a sweet gentle melting expression, especially in their large, round eyes, warm and dark in color, with dark almond shaped rims. Ears are long, with lots of feathering, set high but not too close to their slightly rounded skull. The muzzle is slightly tapered, lenght of the base of stop to tip of the nose is about 1.5 inches. They have moderate length, silky coats, feathered ears, chest, legs and tail. Cavalier King Charles Spaniels have silky, smooth coats and commonly a smooth un-docked tail. Full of affection, gentleness, gracefulness, love and joy, Cavalier King Charles Spaniels are the ultimate lap dog and canine companion and sure to win your heart! They have a very pretty face and a sweet expression, and known for their friendly and affectionate nature. They have a cheerful disposition, are happy and always need to be with you, whatever you are doing. Cavaliers are extremely people oriented and want nothing more than to give and receive affection and attention. They are very sensitive and sweet, and a stern “no” is all they need if they need to be corrected. The breed is highly affectionate, playful, extremely patient and eager to please. They are very needy and should not be alone for long periods of time, but if they must be left alone for a short time, they will be much happier in the company of another pet. They are highly affectionate, intelligent, playful, and easy to train. Cavalier King Charles Spaniels are great with people of all ages, from children to seniors. Cavaliers are not shy about socializing with much larger dogs. They will adapt quickly to almost any environment, family, and location and suit city and country life. Their ability to bond with larger and smaller dogs makes them ideal in houses with more than one breed of dog as long as the other dog is trained. Cavaliers are very loyal to their owners. They are not too independent and prefer to trust their masters. These dogs get along very well with the children. In fact, they are perfect pets, either in a house or apartment. When owning a King Charles Spaniel Cavalier, it is recommended that they live indoors and not outdoors. Cavalier King Charles Spaniels are active and sporting. Cavaliers are successful in conformation shows, obedience and agility and they also make wonderful therapy dogs due to their sweet, gentle natures. The breed is adaptable in their need for exercise, happy with either sleeping on the couch or taking long walks. The King Charles Spaniel Cavalier is a rather sedentary race and has no problems with other dogs. Cavalier King Charles Spaniels are VERY dependent on human companionship. They need companionship most of the day and become stressed or have separation anxiety when left alone too long. A lonely Cavalier will whine, bark or chew destructively. These can be mitigated with training or having another dog as a companion. Every pet is its own individual so these traits may also vary. When left alone, sometimes Cavalier King Charles Spaniels can feel abandoned, causing them to whine or bark excessively. This can be mitigated with proper training or providing companionship with another dog. Cavalier King Charles Spaniels should be given high-quality dog food appropriate for their age (puppy, adult, or senior). Some Cavalier King Charles Spaniels are prone to getting overweight, so watch your dog’s calorie consumption and weight level. See our guide on Dog Food – What Are The Different Types Available?. If you choose to give your dog treats, you should always do so in moderation. Treats can be an important aid in training, but giving too much can cause any dog to become overweight and obese. Similarly, give table scraps sparingly, if you do at all. Avoid giving foods with high fat content. Check with your veterinarian if you have concerns about your dog’s weight or diet. The Cavalier’s lustrous and silky coat requires regular brushing and an occasional bath to keep them in beautiful condition.Brushing not only helps to keep the coat shiny and tangle-free but Cavalier King Charles Spaniels also enjoy massages. Cavalier King Charles Spaniel – Do They Shed? Ears should be checked weekly for signs of infection, as breeds with long ears are prone to, and the nails should be trimmed at least once a month, as long nails can cause pain and postural problems. For more information, see How to Cut Dog’s Nails. It is recommended to maintain a routine of brushing the hair of the Cavalier King Charles. Remember that, being long, it is easily entangled. Also, when you go outside, you can return home with objects attached to the legs, tail or ears. Cavalier King Charles Spaniels were bred to be a lap dogs, however, they are descendants of sporting dogs and does enjoy moderate exercise and outdoor activities Cavalier King Charles Spaniels will happily go on walks with their owner and also perform well in a number of canine sports. They are just as happy to stay on the sofa all day. Why is dog walking important? The Cavalier is a sweet, gentle, and affectionate breed, and very eager to please their human. They are friendly with strangers and with other animals, and they can do very well with children. They are smart and train easily (check out our article on How to Train Your Puppy) and also make very good therapy dogs. As with all breeds, early socialization and puppy training classes will help the young Cavalier to learn good manners and be comfortable with a wide variety of people and situations. Cavalier King Charles Spaniels, due to inbreeding, may have various health issues. These include certain eye conditions (including retinal problems and cataracts), patella luxation, hip dysplasia, middle ear infections, mitral valve heart disease, and a neurological condition called syringomyelia. Cavaliers can be screened for all these conditions, and most live comfortably into old age. Owners should discuss any potential health issues with their dog’s breeder. A responsible breeder will health-test all potential breeding stock. These diseases can be manifested itself after 5 years of age. Veterinarians have developed a guide for owners that allows the animal to live better for longer. Please research these health issues to be aware before adopting a cavalier. Mitral Valve Disease (MVD): This is a common condition in Cavaliers. It starts with a heart murmur that becomes increasing worse until the dog has heart failure. Heart disease in older dogs of any breed is fairly common, but Cavaliers are prone to developing MVD at an early age, sometimes as young as one or two years old. Research into prevention of this condition is ongoing. Because it appears to have a genetic component, responsible breeders have their breeding dogs evaluated regularly by veterinary cardiologists to try to prevent this condition from continuing to future generations. 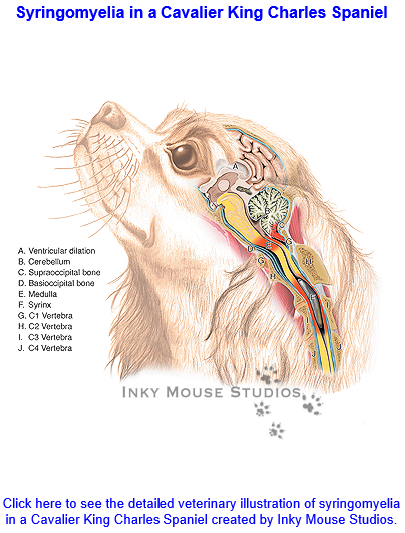 Syringomyelia (SM): This condition affects the brain and spine and appears to be common in Cavaliers. Symptoms range from mild discomfort to severe pain and partial paralysis. It’s caused by a malformation of the skull, which reduces the space for the brain. Symptoms typically appear between the ages of 6 months and 4 years. The first signs you might notice are sensitivity around the head, neck, or shoulders, with the dog sometimes whimpering, or frequently scratching at the area of his neck or shoulder, usually just on one side of the body, without actually making physical contact with the body (“air scratching”). They may try to scratch even when walking. For this reason, if your Cavalier is scratching, it’s important to take him to the vet to rule out SM. For more information, visit Syringomyelia. Episodic Falling: This condition often is confused with epilepsy, but the dog remains conscious during the falling or seizure. It’s brought about because the dog can’t relax its muscles. Symptoms can range from mild, occasional falling episodes to seizure-like episodes that last for hours. Symptoms usually start before five months but may be noticed only later in life. Hip Dysplasia: Many factors, including genetics, environment and diet, are thought to contribute to this deformity of the hip joint. 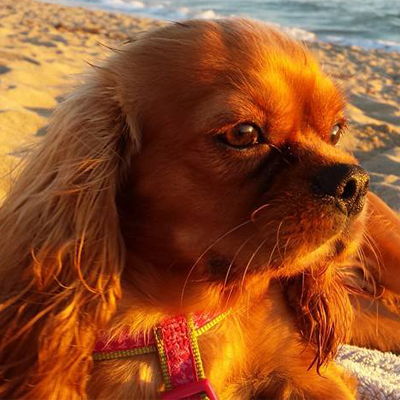 Affected Cavaliers often are able to lead normal, healthy lives. On rare occasions, one may require surgery to lead a normal life. Patellar Luxation: The patella is the kneecap. Luxation means dislocation of an anatomical part (as a bone at a joint). Patellar luxation is when the knee joint (often of a hind leg) slides in and out of place, causing pain. This can be crippling, but many dogs lead relatively normal lives with this condition. Keratoconjunctivitis Sicca (Dry Eye): This condition usually is caused by an autoimmune reaction to the dog’s tear glands, leading to a reduction of tears. Once diagnosed, this condition is easily treated by administering drops in the eyes every day. If left untreated, it can result in blindness. In accordance with normal canine standards, the Cavalier King Charles Spaniel has a fairly high IQ, and many of his senses, such as smell and hearing, are much more developed than those of people. But although the Cavalier fits so well into family life, they do not have an almost human mentality as some would like to believe. They can easily assimilate the fears and joys of their masters, so a somewhat nervous person can convey this feeling to their dog, which could end up having a similar personality. If you want to know more about pets and our beloved friendly Dog, Cavalier King Charles Spaniel, keep visiting Gingercavalier. The typical price of the Cavalier King Charles Spaniel generally runs from $1,800 to $3,500, depending on the cost of living in any particular area. If you are going to purchase a Cavalier King Charles Spaniel, look for a reputable breeder who is part of a Cavalier Specialty Club. Ask for papers on parents and any potential illnesses from the Cavalier’s bloodline. 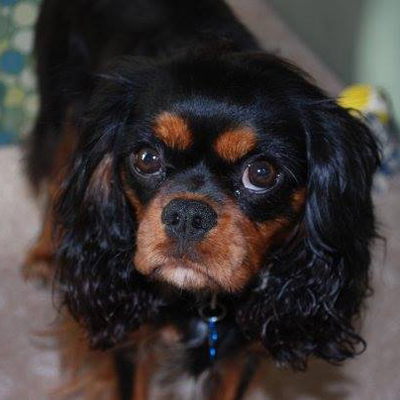 Are you looking to adopt and Cavalier King Charles Spaniel?